Thanks, in part to our Sponsors, Hood River (for the first time!) was identified as one of the top 40 most vibrant arts communities in America! BIG ART was specifically called-out as a contributing factor for being included on the list. We were No. 4 for small communities under 50,000, after Vail area, CO; Jackson, WY; and Summit Park, UT. 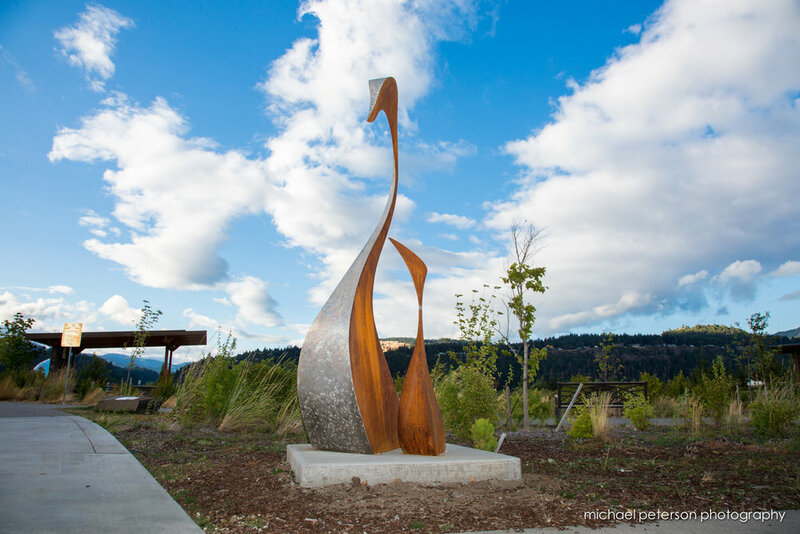 In its third exhibit, the Hood River BIG ART Walking Tour, consists of 18 Sculptures on loan from artists, and three permanent sculptures. 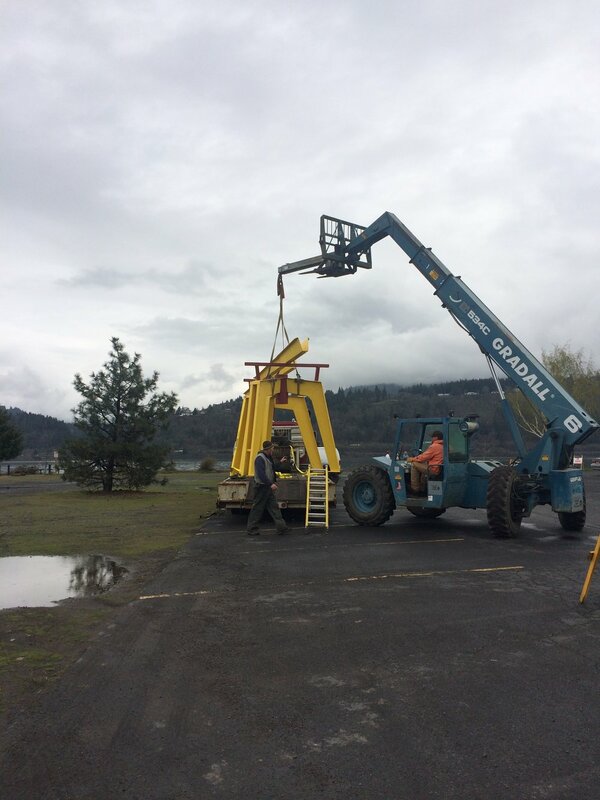 Though a competitive process, artists are selected to exhibit their sculptures around the downtown Hood River area for a period of about two (2) years. as an architect, which includes public design review process and collaborating with local governments, community groups, builders, and other stakeholders. His background in mathematics and art history underlies an interest in the ways unadorned shapes can resonate with a viewer on an emotional or visceral level. A dual citizen originally from Vancouver, British Columbia, Patrick Sullivan now lives in Pine Valley, Utah. 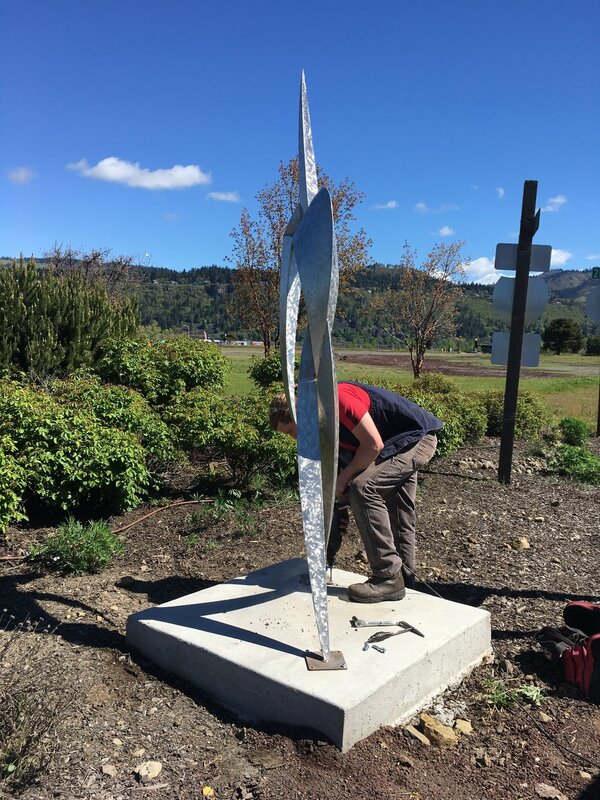 Patrick works in stone using a hammer and chisel allowing the piece to emerge from materials of granite, basalt, and marble. His art can be found in over twenty communities throughout the US, Canada and Germany. 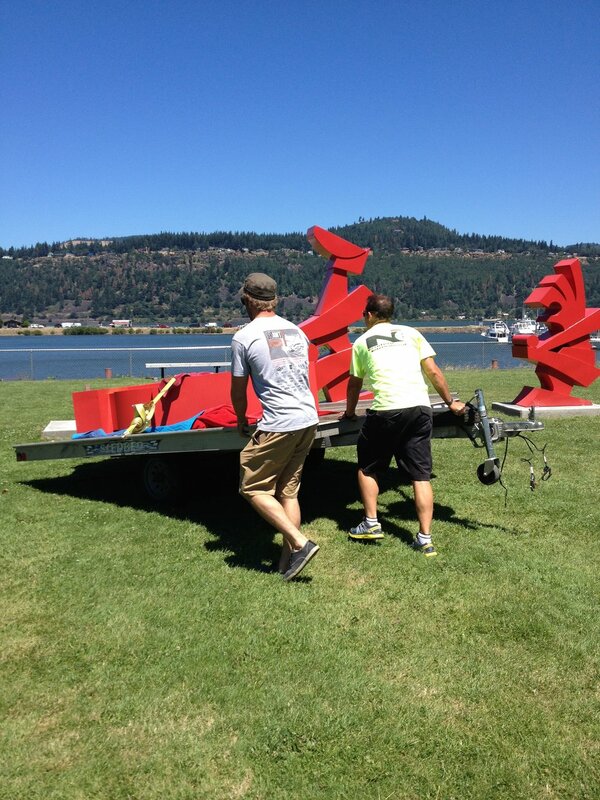 Whit Poor is a metal sculptor in the Columbia River Gorge. Originally from the San Francisco Bay Area, from an early age Whit found great success from his wood carvings. He went on to follow his other great passion, windsurfing, taking him around the globe as a professional sailor. Whit’s greatest influences come from his travels, the study of nature and body movement. His innovative designs can be seen throughout the west in both public and private collections. Originally from Illinois, CJ Rench is a self-taught industrial engineer and designer. 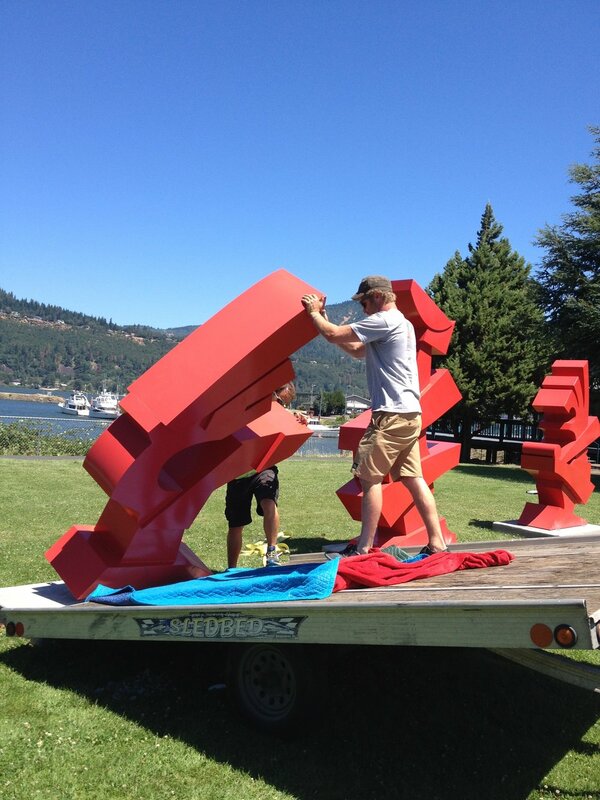 He creates large scale abstract metal sculpture for both public and private collections. His work has been exhibited in Palo Alto, Colorado Springs, Napa, Orlando, Denver and Aspen to name only a few. CJ recently completed a skate park installation jointly commissioned by the Seattle Parks and Recreation and Red Bull that explores the intersection of art, athleticism and imagination. Cathleen Rehfeld is one of the premiere landscape, figurative and still-life painters of the region and sells her work internationally. She completed her BFA from the University of Texas at Austin and attended Gage Academy. Cathleen has studied with several well-known masters and now instructs throughout the Pacific Northwest. 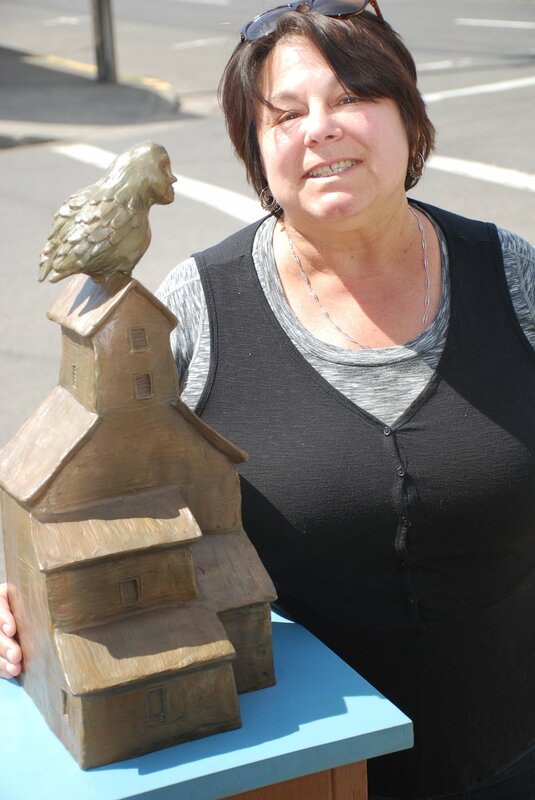 Cathleen is the founder of the annual Pacific Northwest Plein Air Event, Columbia Gorge Arts & Culture Alliance and a former long-time board member of the Columbia Center for the Arts. Foster Kalama has been an artist since the second grade. He is a Wasco descent from his father’s side, one of the three tribes of Warm Springs. On his mother’s side Yakama. Foster grew up on N’Chi Wana, the Big River and has been a Columbia River Treaty Fisherman for 34 years and fished the scaffolds since he was eight with his father Roland Kalama Sr. who had the greatest opportunity to fish the Celilo Falls. Foster was chosen as a Ceremonial hunter and fisherman. Ralph Trethewey was born in Arizona, raised in California’s Mojave Desert and Utah’s Wasatch Mountains where the diverse wildlife inspired his early sculptures. Ralph trained at the University of Utah under sculptor Angelo Caravaglia and has completed commissions for the US Fish and Wildlife and National Park Services. His work is in select galleries, museums and private collections and is well known for the “World Record Antlers Series”. Mike Suri was born and raised in the California Bay Area and began sculpting directly in metal and other materials at the age of 16. Since moving to Portland, Oregon, in the late 1990’s Mike has established a design and fabrication business focused on executing commissions and speculative works large and small, public and private. His works can be found throughout the region. Hailing from Boston, MacRae Wylde attended Colorado College, School at the Museum of Fine Arts Boston, College of Santa Fe, International School of Art in Umbria, Italy and the Northwest School of Wooden Boat Building. Fascinated by architeure, engineering and construction, MacRae has been building sculptures since a child. 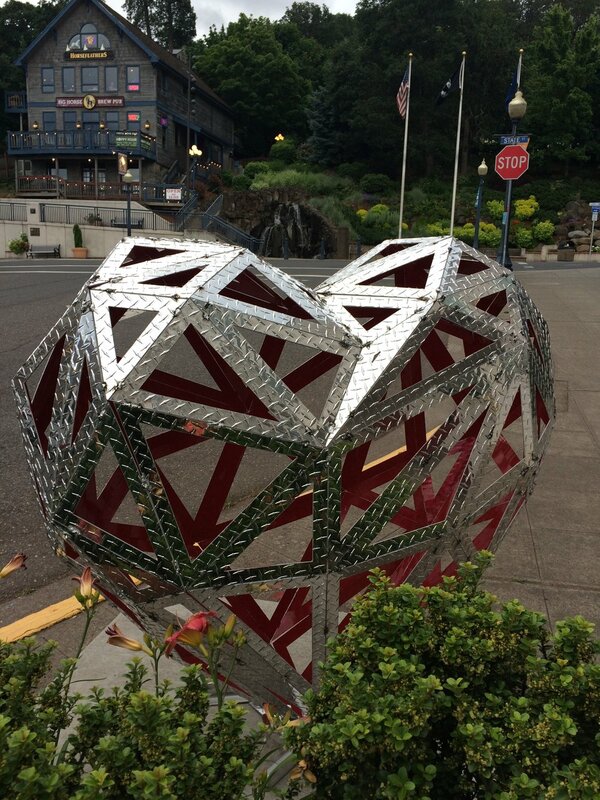 With recycled steel from locale structures, he develops bold statements reflecting community and the environment. Born in Saskatchewan Canada, Ben Dye traversed the US and was eventually introduced to the world of commercial diving and a diver's favorite tool: the welding torch. That's all it took, he could not be separated from the welding machine. Following his diving career, Ben transitioned his passion full time into art. Now he uses his experience and skills to design, fabricate, transport and complete installations of large scale work that reflects his years under and near the water. Following a 25-year career of creating colorful functional ware and architectural accents throughout the Pacific Northwest, Ann Fleming started to create figures in clay and then bronze. Transitioning from functional design to fun, her full, round, playful and thoughtful women and quiet and companionable animals are her primary subject matter. The stories the pieces tell are now their function. As an arts organizer Ann contributed to the Art in the Pearl Arts Festival, and now locally in the "Window Gallery" in White Salmon. After building his creek-side studio in 1994, Tom Herrera began designing and creating distinctive custom metal work for homes and gardens. His specialty is whimsical and often, functional, pieces utilizing various types of recycled metals whenever possible. A natural collaborator, Tom partners with other artists to incorporate ceramic mosaics and fused glass into some of his pieces that can be found throughout the Gorge including Maryhill Museum. Disillusioned with not building anything for two years in Architecture school, ML Duffy took a metal sculpture class at the University of Maryland, and quickly transferred to Studio Art full time. He earned an MFA from Goldsmiths College, University of London in 2009. His public works can currently be seen in Maryland, Virginia, Colorado, Oregon, Wyoming, Texas, and Georgia. Duffy teaches at Gonzaga College High School in Washington, DC where he also coaches junior-varsity lacrosse and moderates the fledgling robotics program. 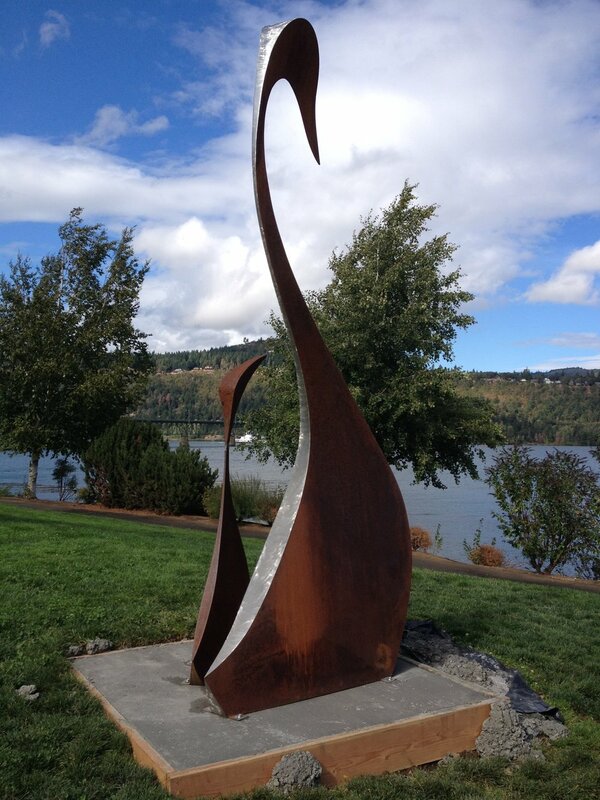 Ken Hall received a BFA from the University of Washington and after life's experiences discovered working with steel. He creates functional, decorative, and signature art pieces, handcrafted where no two pieces are alike. Ken continues to be inspired by his discoveries found in nature, out on the street, or in his own backyard and is currently drawing inspiration from his Peace Corps experience in Niger, West Africa. Francisco Salgado originally from Mexico City, graduated with an MFA in sculpture and a BFA in photography from the University of Oregon. He taught sculpture at Portland Community College at Rock Creek. He exhibits his steel, ceramic, stone and wood sculptures, as well as, fine art photography throughout the Northwest and Mexico. In 1997 he created an international exhibition called the 11x11 Sculpture Show, which featured an exchange between Mexico and Oregon of sculptors and sculpture. Jacob Novinger initially drew for an artistic outlet when he started working at an ornamental blacksmith shop, then sparking a passion for metal. Now he creates metal sculptures that represent his life’s path and where he's going with his creative expansion. He taps into his subconscious bringing sculptures to life. Jacob's inspiration comes from natural form and textures, abstract shapes and surrealism. 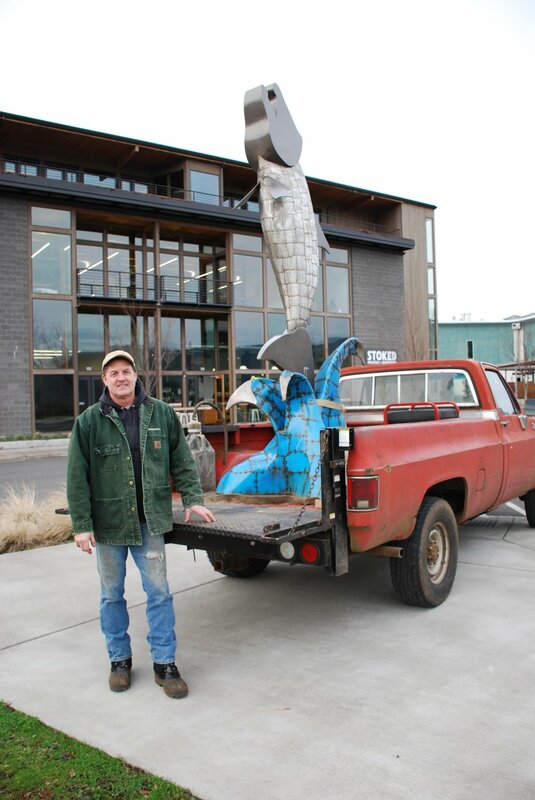 Native to Oregon, Jesse Swickard is sculptor and painter who's work can be found in art collections throughout the NW and as far off as Europe. An outdoorsman at heart, his work is nature based and reflects his love and respect for the environment. 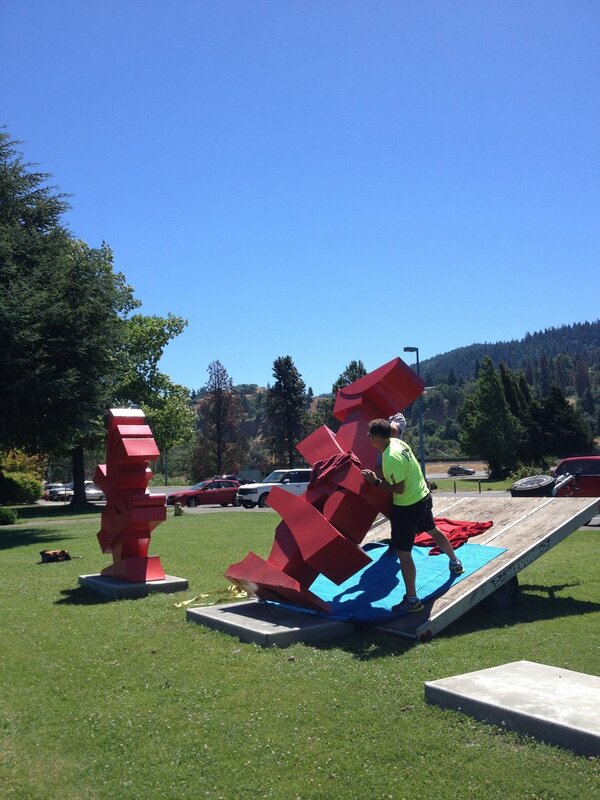 If Jesse's not building sculpture he's climbing or snowboarding along the Cascade Range. Sara Yabarra Lopez earned degrees from the University of Utah and Westminster College of Salt Lake City and her MFA in Interdisciplinary Art, with an emphasis on sculpture, community and public art from Goddard College of Plainfield, Vermont. Sara has been employed in education, non-profit administration, parenting two children to adulthood, and as a noteworthy visual artist. Sara has a home on the Olympic Peninsula near Port Townsend, Washington where she shares Carapace Arts Studio with her husband, sculptor and bronze caster Mark Twain Stevenson. 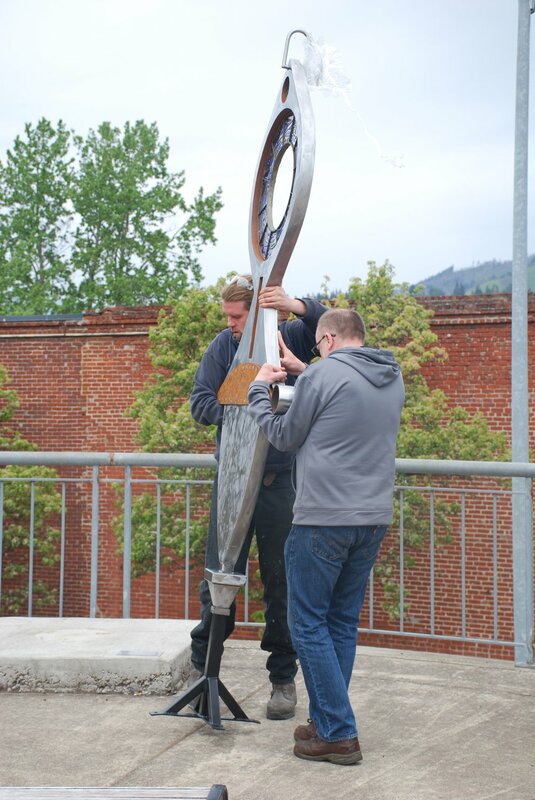 Together they have created public art and have consistently shown work throughout the Northwest, Utah, and Colorado.